A new project in Cambridge, MA dubbed the “Park Spark” has dogs powering the street lights in their own dog parks. Designed by Matthew Mazzotta, a visual artist with a degree from MIT, the project uses dog poop from the park to produce methane, which is then burned to light the park at night. 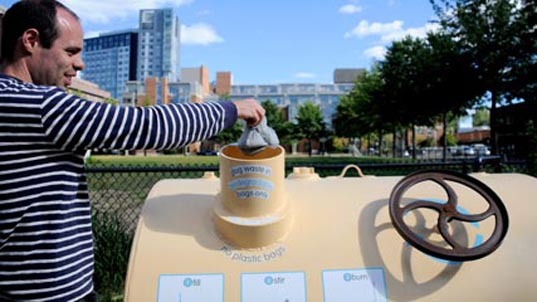 The project was funded through the Massachusetts Institute for Technology and a partnership with the City of Cambridge, and it will hopefully spark a dog poo-fueled revolution of biogas-powered parks across the country. Ever wonder what happens to all of those dog droppings deposited into public trash cans? The “waste” sits in the trashcan and continues to give off methane. When the trash is picked up, the dog waste is sorted out and sent to the appropriate cleaning facility—where it continues to give off methane. Check out Mazzotta’s site for some other great projects including some wandering homes, a project focused on making tea from local plants, and some nice mobile structures that critique and make use of poorly designed urban environments. Um I'm sure some cities sort their trash, most just route trash to an open landfill and dump it in. A new project in Cambridge, MA dubbed the "Park Spark" has dogs powering the street lights in their own dog parks. 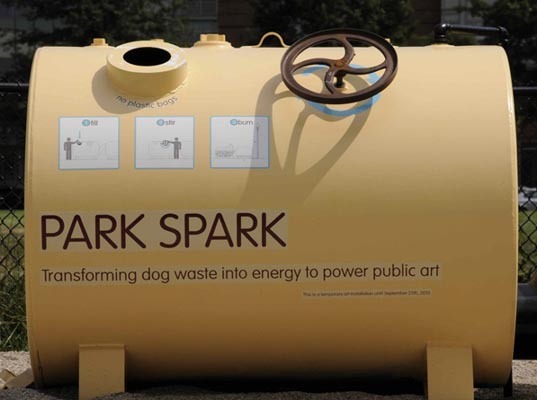 Designed by Matthew Mazzotta, a visual artist with a degree from MIT, the project uses dog poop from the park to produce methane, which is then burned to light the park at night. 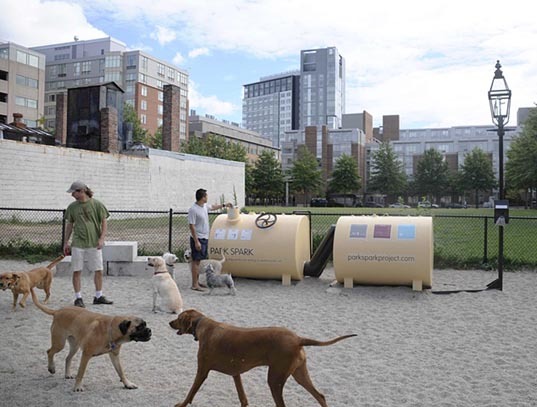 The project was funded through the Massachusetts Institute for Technology and a partnership with the City of Cambridge, and it will hopefully spark a dog poo-fueled revolution of biogas-powered parks across the country.